Welcome back to the blog! I have decided to add in new categories of products to review – nail polishes and mascaras. I know they’re not typically the most exciting, but these are products that I use often, well, not really with the nail polishes. However, I use nail polishes on a bi-weekly basis and I figured I have enough to talk about and review. 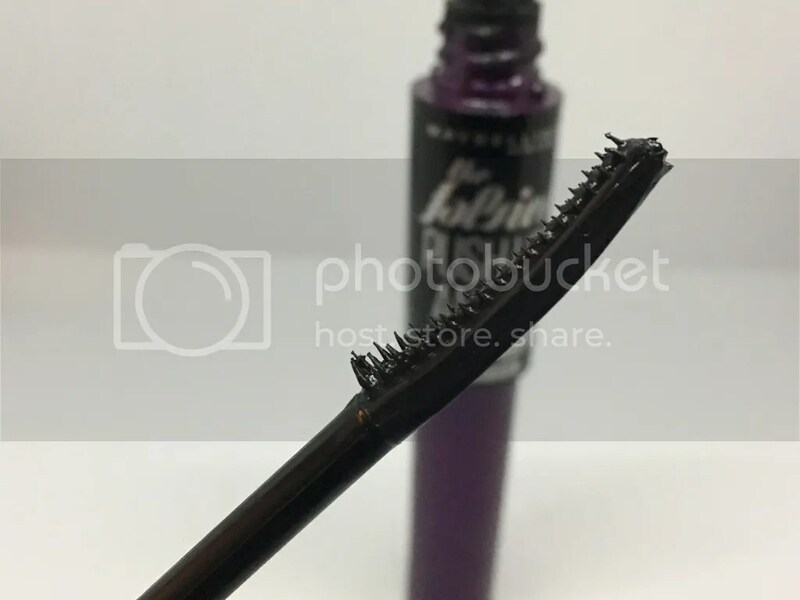 Anyhow we’re kicking off these new reviews with a Maybelline mascara. Now before I really get into the review, I must disclose that all the mascaras that I use and try out are waterproof formulas. My eyes can be extremely watery and I don’t like to mess with my mascara throughout the day – I don’t have the luxury to worry about it smearing, smudging, etc. Alrighty, now that that’s out of the way, let’s jump into the review! One of my favorite things about this mascara is the wand. 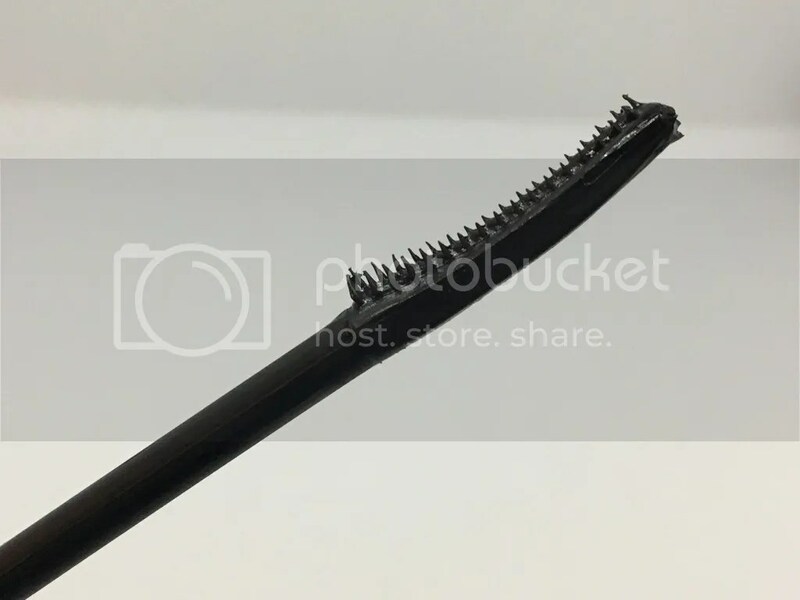 It’s extremely thin and the bristles are almost non-existent. I’m able to get to the very root of my lashes and have a clean application. I have been a huge fan of The Falsies line and I even have The Falsies Flared as a holy grail mascara! 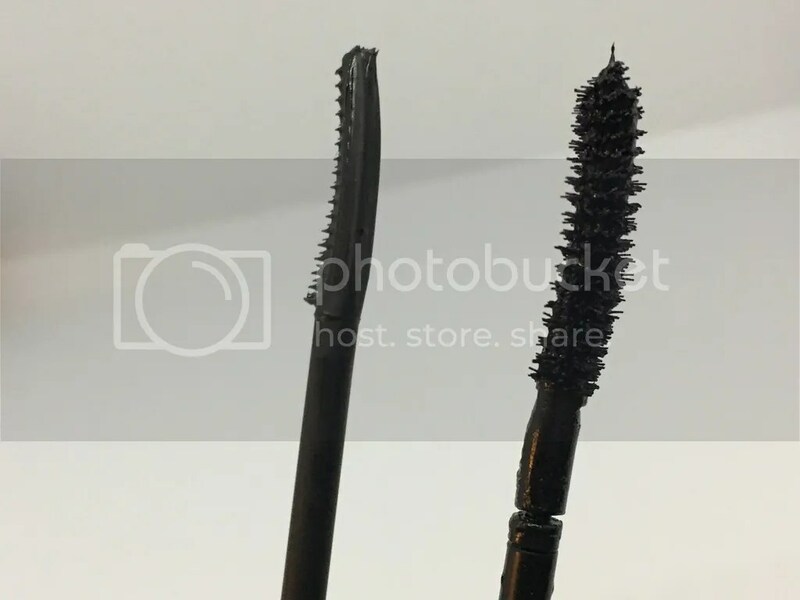 I was interested to see what exactly made this mascara different from the others. Compared to The Falsies Flared, the wand is extremely different. With The Falsies Flared, it’s a thicker applicator with a curved shape and medium-long synthetic bristles. The wand also has a flex point to aid with making sure you can get to the very root of your lashes. The part of the wand that bowed inwards is great for coating my lashes, and the rounded edge helps me push-up my lashes, while making my lashes look more voluminous. Since the bristles on the Push-Up Angel are teeny-tiny, I was worried that tht I would be placing globs of mascara on my lashes. However, the teeny-tiny bristles help disperse the product and I don’t really worry about having excess product on my lashes. I know what you’re probably thinking, the teeny-tiny bristles probably don’t do much for the lashes, and you’re 99% right. The bristles do help separate my lashes and really get to the root of my lashes. However, it doesn’t really add much volume and if you have sparse lashes like me, you’re lashes don’t look extremely fanned out. However, I feel like like you have thicker more luscious looking lashes, you may find that this wand doesn’t disperse enough product. If you’re interested in just fanning your lashes out and having them defined, then you may be interested in this formula. The longevity is great when it’s on the root of the lashes, but when it comes to the tips of the lashes, the longevity isn’t the greatest. When I have days that are longer than 10 hours I can tell that the mascara has faded off, and lightly touch my lashes, they feel bare. This is just an average mascara. I can see myself using it on my lower lashline, however I don’t particularly like how having mascara on the lower lashline looks on me. It does a great job at separating lashes and I tend to use it this on top of mascaras that clump my lashes together. I have very few lashes to work with, so this is great at spreading them out without taking away any mascara or adding too much product on and weighing my lashes down. Have you tried this mascara out? What are your thoughts? I would love to know what your holy-grail mascara is in the comments down below! Also, if you’re interested in seeing what products I’m currently testing out, feel free to follow me on Instagram and Twitter @ciaociao808. I also try to post express reviews, vlogs, and other videos on my YouTube channel (here), so if you have some time, feel free to check it out!